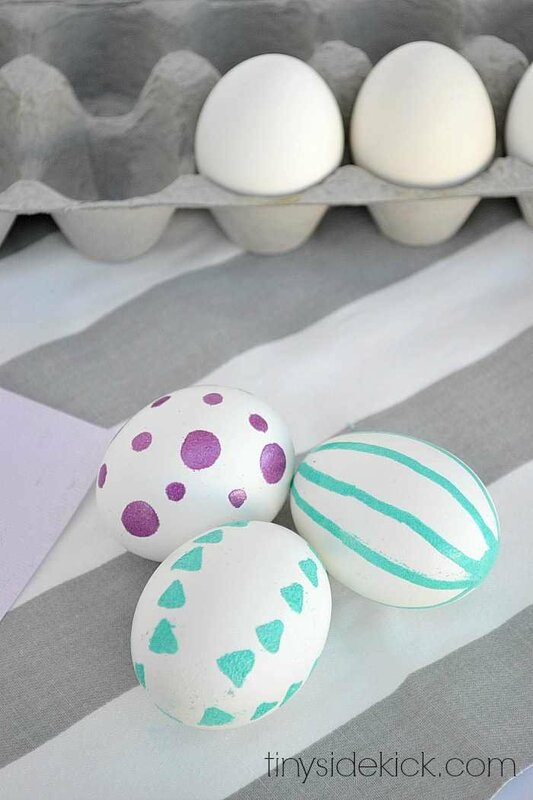 Inside: These colorful embossed Easter eggs are a fun alternative to dying eggs and can be made with any pattern! I’m under the impression that the channeling of all things spring has begun. We have had a few days of shorts weather here in So-Cal and I’m loving the sunny evenings already. 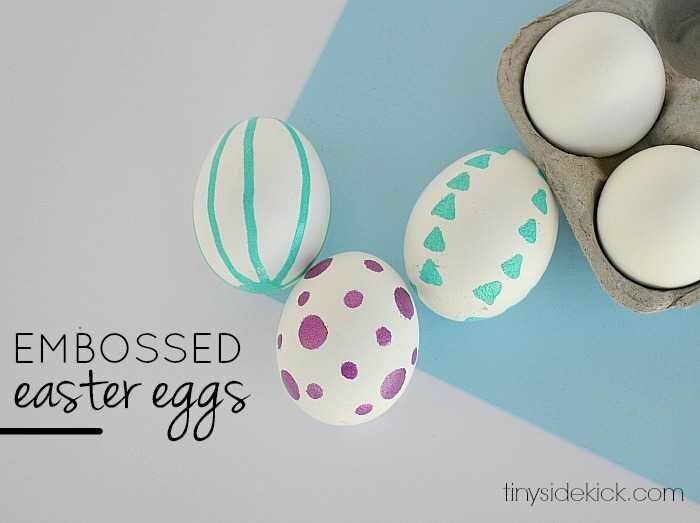 But all of this means that Easter is fast approaching and well, I thought I’d use it as a perfect excuse to bust out the fun and bright colors that I love so much and try something new when it comes to decorating easter eggs! And I have to say, that although not perfect, I’m liking these embossed Easter eggs! They are fun, colorful, and you can make any pattern your little heart desires! This post contains affiliate links for your convenience. My full disclosure can be found here. Just a little heads up before we begin. This probably isn’t a project for the kiddos since the embossing tool gets hot. Just thought I’d warn ya so no one gets their tiny fingers burned. 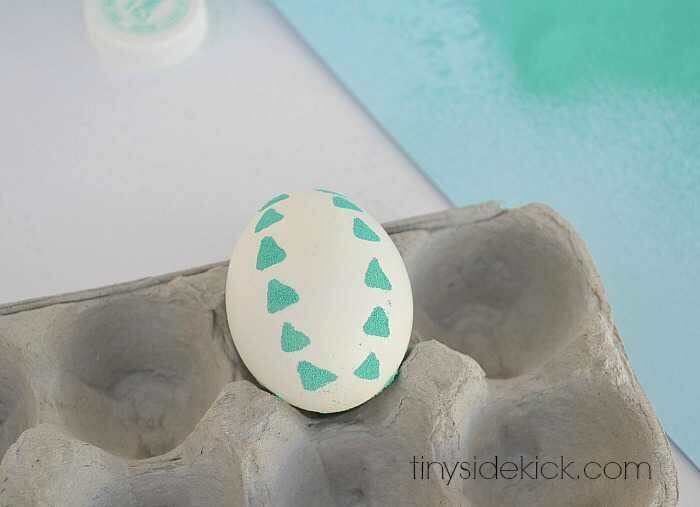 Step 1: Hold the egg with 2 fingers and carefully draw your design with the versa marker. This can be a bit tricky since the ink is transparent. You can see what you’re doing if you’re in a well lit space. 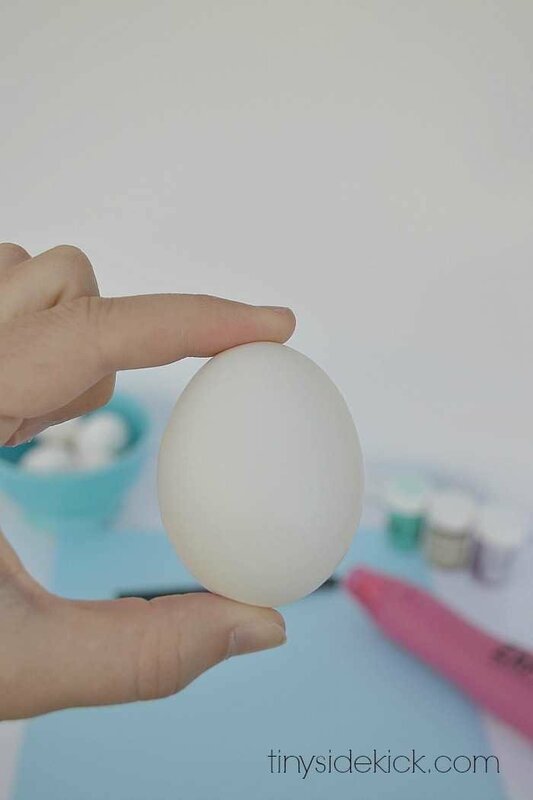 Remember that anywhere the ink goes, the power is going to stick there and end up being part of your design, so do one side of your egg at a time. Once you have the powder on your design you can clean it up a little with a small dry paint brush or your fingernail. You just don’t want a lot of powder where it wasn’t intended because it will get cooked on there in the next step. 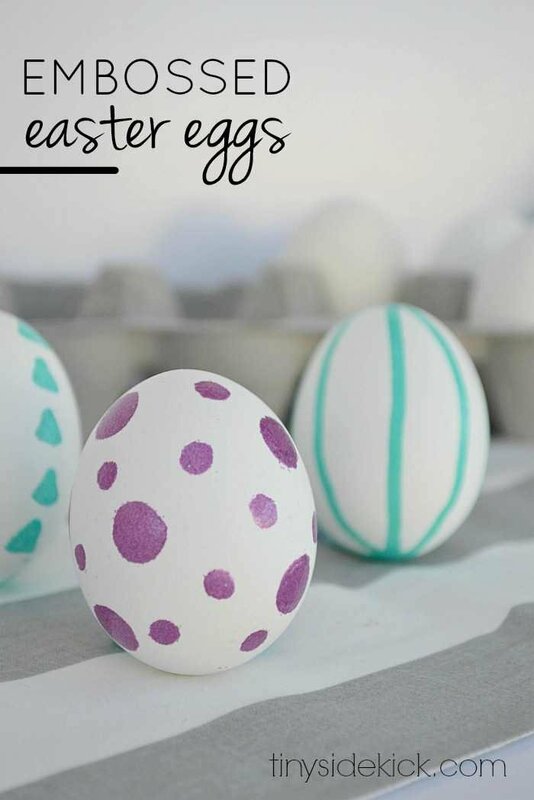 Repeat on all sides and then do another design on the next egg! 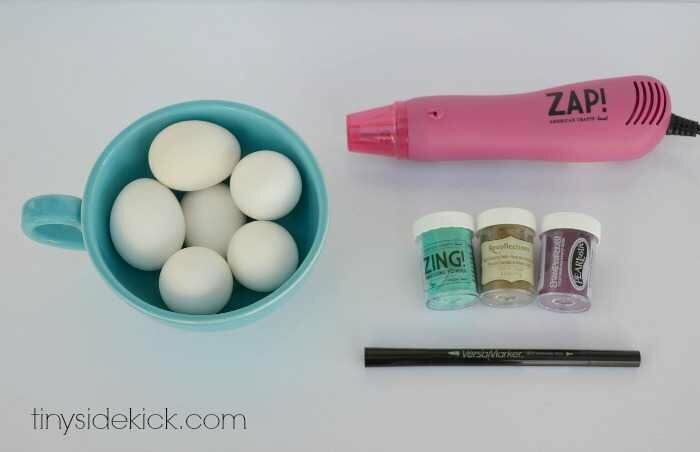 This is a fun alternative to dying Easter eggs or coloring eggs with q-tips like we normally do. I like the hand drawn feel that they have too! How is that for a fun little spring project? These are adorable, Corey!! I used to have an embossing tool years ago, and I so wish I had it now! It might be time to get a new one. 🙂 Thanks for sharing!